Down to the real logistics: Guests arrive at 6:00 pm, just before sundown, to start a stretching session and warm ups, as the sky turns a radiant hue of blues and pinks. Casey Simmons from Barry’s Bootcamp will get the group’s blood pumping with some stretching and warm ups and keep everyone going as they switch stations through core, lower body, and upper body. Trainers Cat Medina, Cameron Adams and Lazaro Gonzalez will keep the energy high with intense repetitions that work every muscle. 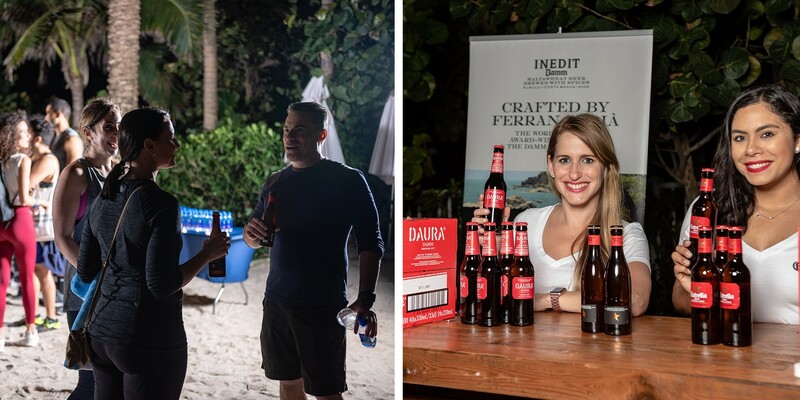 After an exhaustive (but exhilarating) hour of beach bootcamp, guests are invited to retreat to the garden area of the Grand Beach Hotel Surfside to indulge in some post-workout beers sponsored by Concrete Beach Brewing and Estrella Damm. Saltwater Brewery from Delray Beach will also be onsite with a flight of their latest brews. For some extra hydration, Fiji Water is providing the H20. DJ Supersede, the official DJ of the Miami Dolphins, will keep the energy going all night with lively beats. Bootcamp and Brews features four of Miami’s best fitness instructors. To start, Cat Medina from Equinox will focus the group with a stretching sequence and cardio workout. Cameron Adams, trainer and boxer at popular spots like FightClub MIA and Sobekick, will follow with an upper body routine while real-world firefighter and ISSA Elite Trainer, Lazaro Gonzalez will focus on core workouts to get those abs burning. Casey Simmons, renowned Barry’s Bootcamp instructor, will move the group through a heart-pounding cardio exercise to round out the workout. We guarantee that your hour with these trainers will provide some game-changing info about how you should be approaching your sweat sessions. 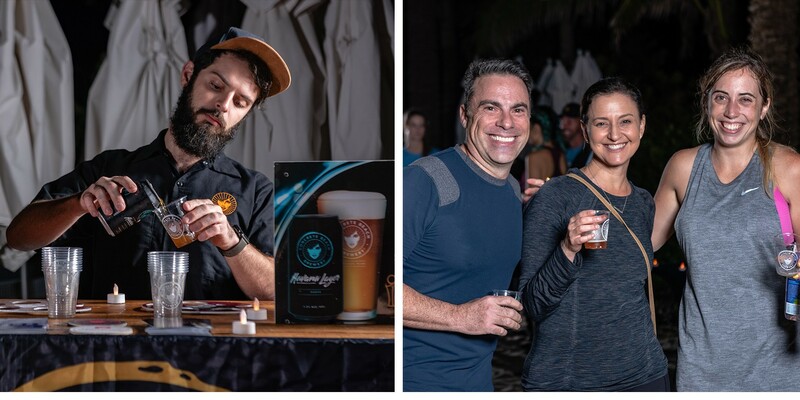 Surfside has long been a favorite spot for those looking to combine their outdoor workouts with beautiful scenery, so it only makes sense that our first Bootcamp & Brews event was a huge success. Every guest broke a sweat and learned some new moves during the hour-long workout; walking away on a workout high. If you weren’t able to attend or are in need of some inspiration, check out the photos below. After the event, guests are invited up to the beautiful rooftop bar, SkyBar, at the Grand Beach. The stunning space offers skyline views and relaxed atmosphere, perfect for unwinding after a workout. The Grand Beach Hotel Surfside is a luxurious hotel that features spacious guest rooms and suites with direct access to the white sands of Surfside. The hotel property boasts a beautiful rooftop, multiple pool areas, gardens, and multiple food and beverage outlets. 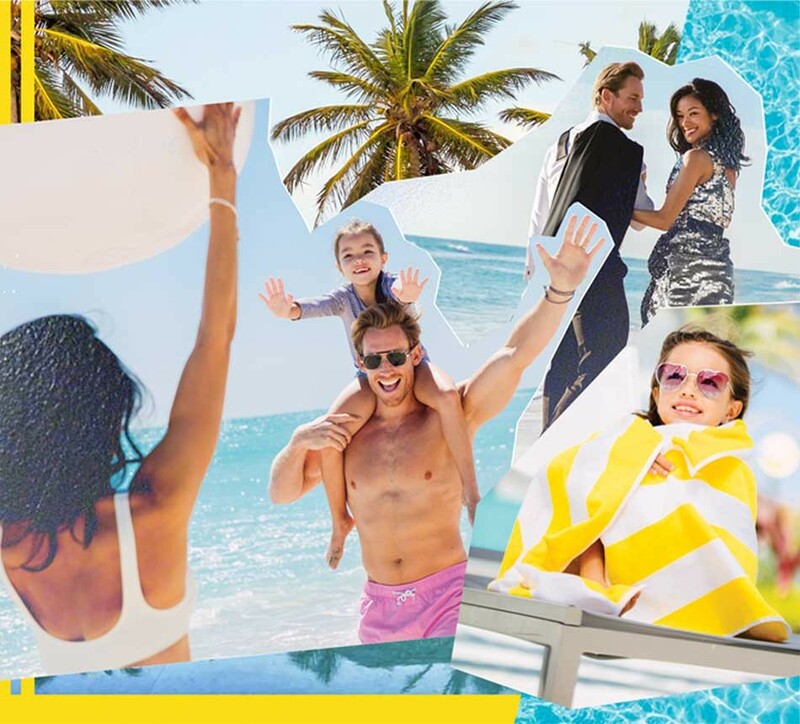 Since parking is always something to think about in Miami, the Town of Surfside’s Tourist Bureau (host of the event) has partnered with LYFT to give guest $5 off to or from the event with code SURFSIDE19. The code expires 5 hours after it’s applied, so you can use it on your way to and from the event. Public Parking is also available at 95th Street and Collins Ave or the hotel offers valet parking for $27. Surfside is a favorite for those looking for a place to sconnect with nature while also getting a workout. This seaside enclave is known for its family-friendly beach town vibe, beautiful white sand beach, long running and biking trails, and a variety of local dining hotspots. Learn more about activities in Surfside by viewing our visitors guide or reading more about Surfside on our blog. You can also learn more about Surfside by signing up for our newsletter to stay tuned for news and happenings in town. Simply put, Surfside has something for everyone.